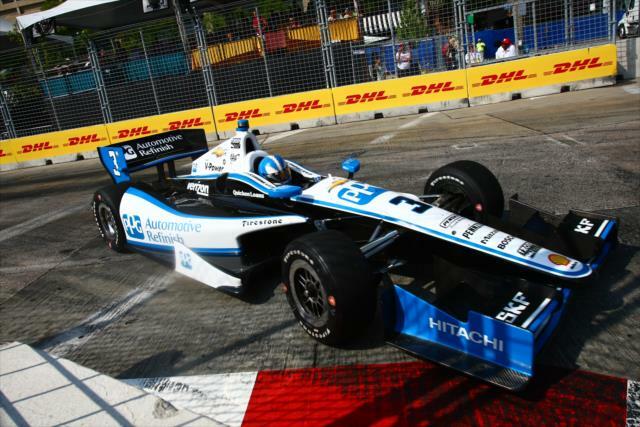 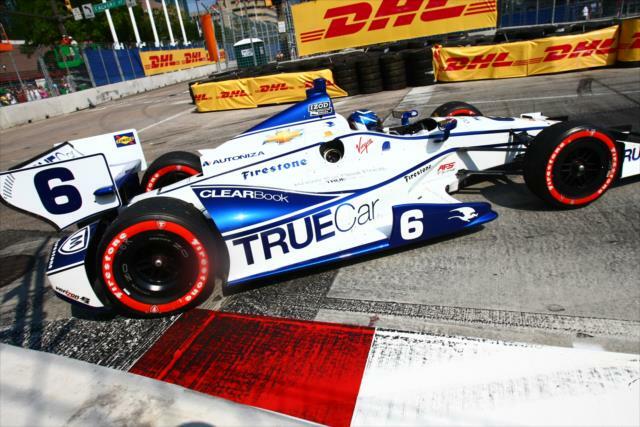 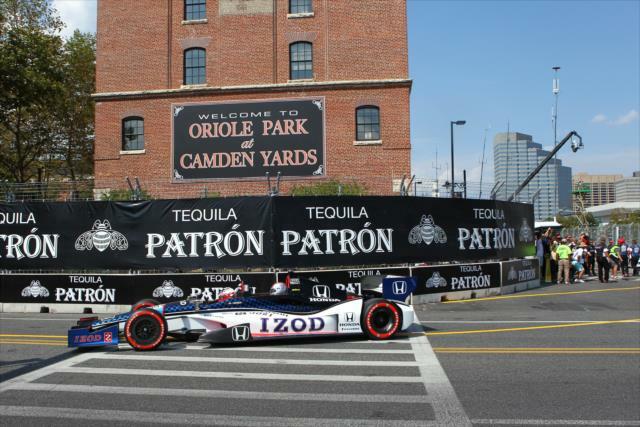 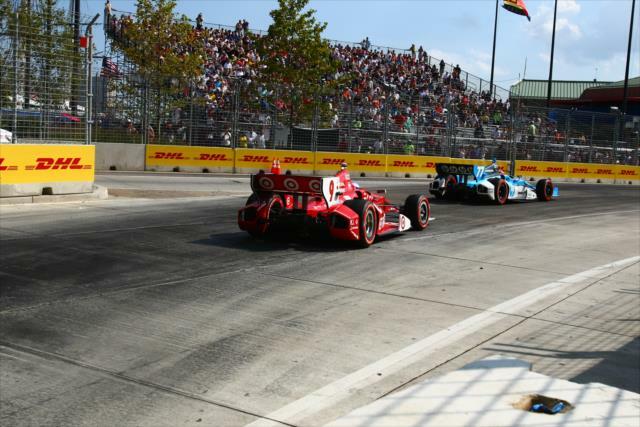 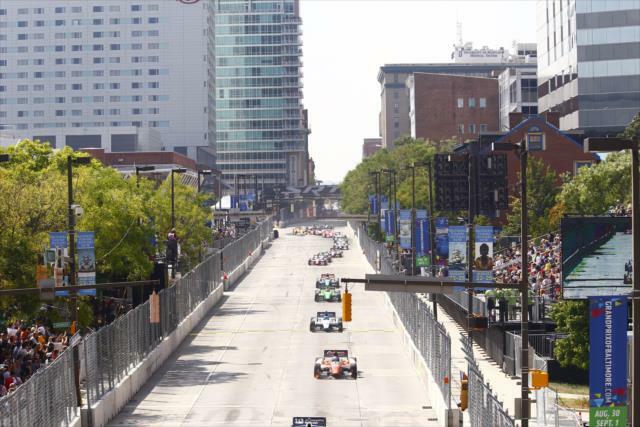 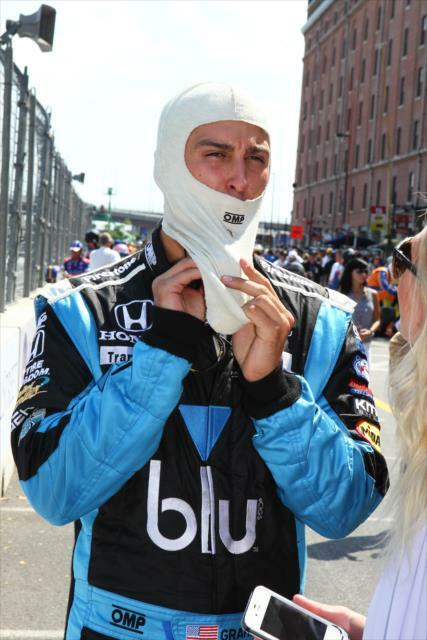 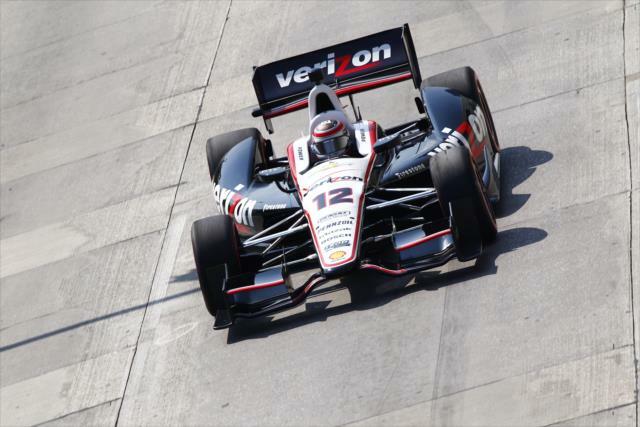 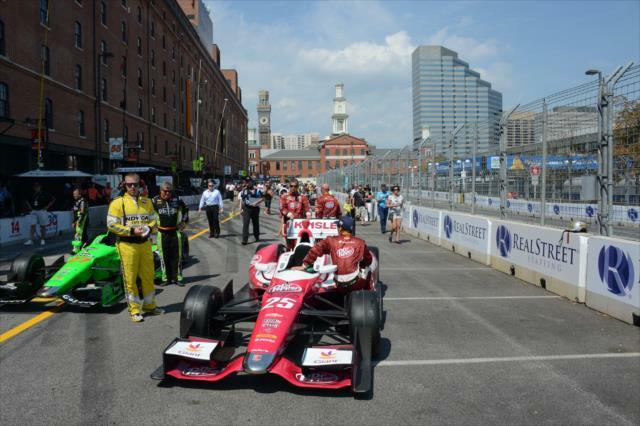 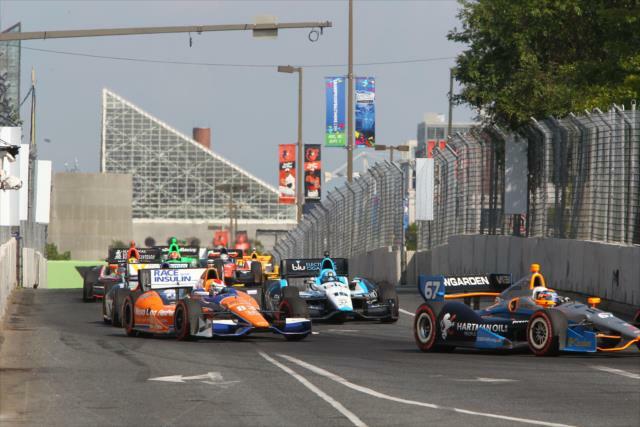 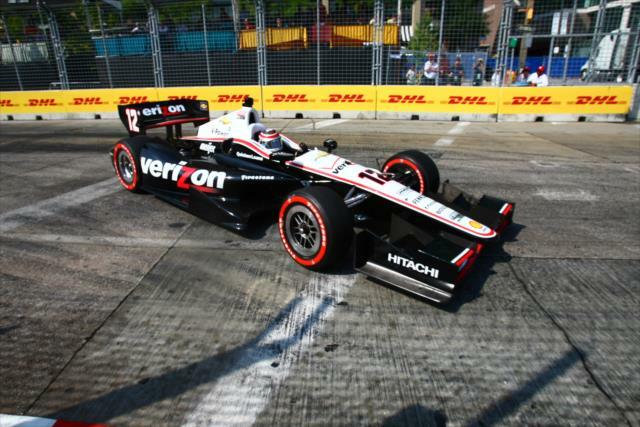 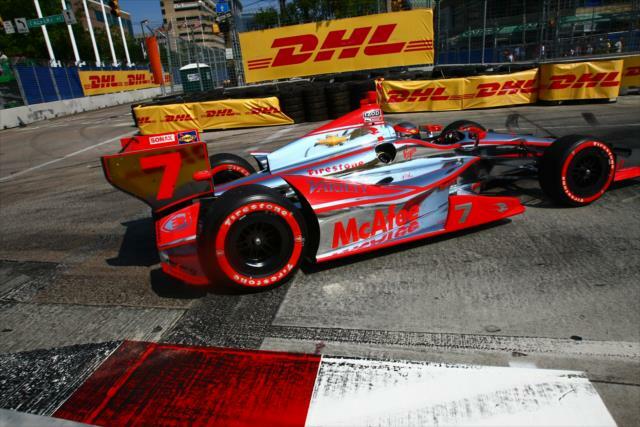 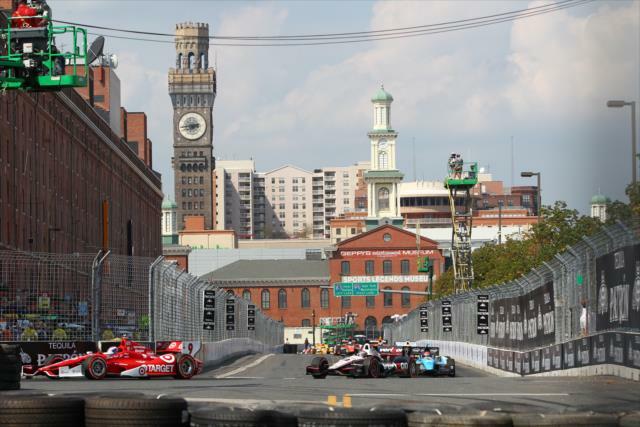 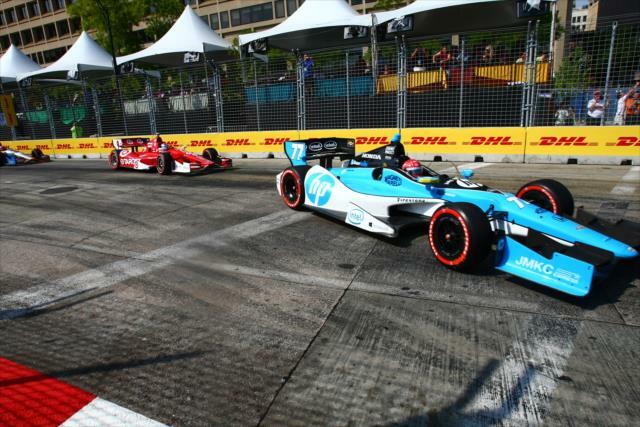 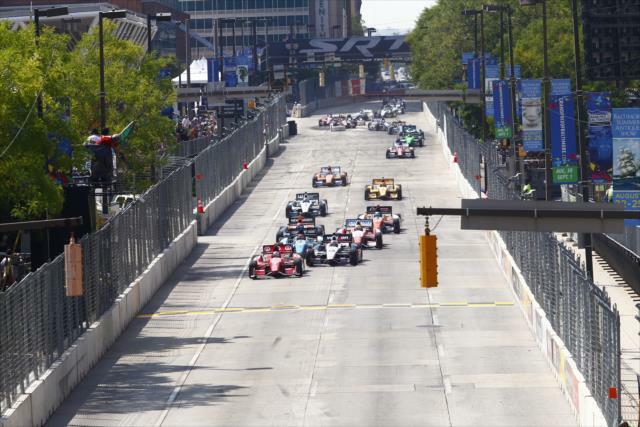 BALTIMORE -- There were more twists in the Grand Prix of Baltimore presented by SRT than the 12 turns on the 2.04-mile street course, which ultimately benefited Simon Pagenaud. 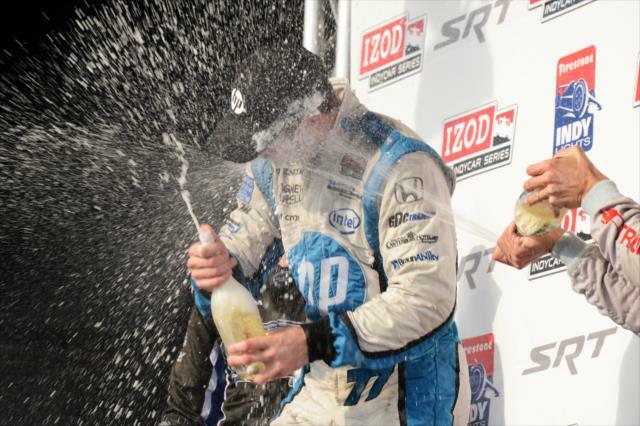 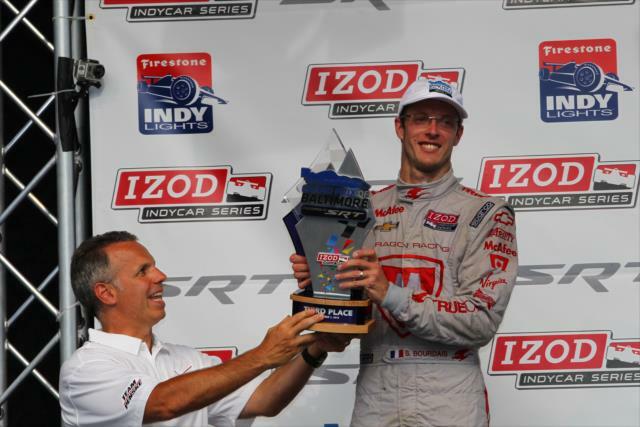 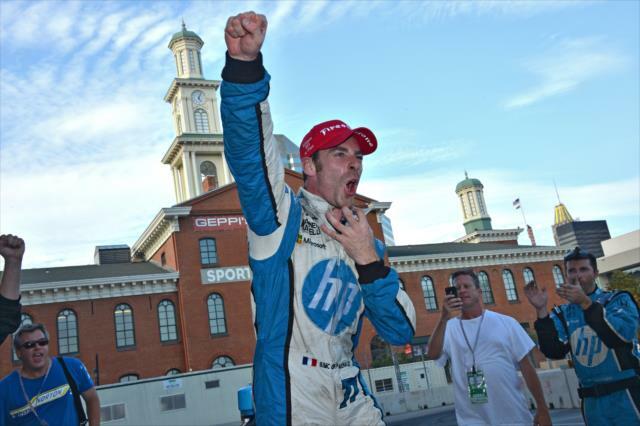 The Schmidt Hamilton HP Motorsports driver earned his second IZOD IndyCar Series victory -- the second since early June at Belle Isle -- by outlasting Josef Newgarden and what was left of the 24-car field in the 75-lap race. 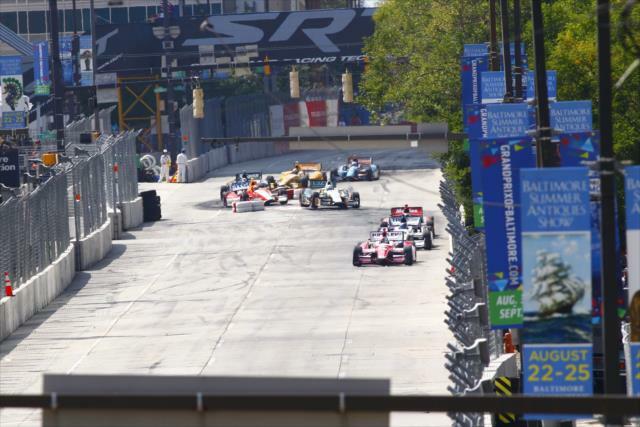 There were six full-course cautions, with almost every car sustaining some damage. 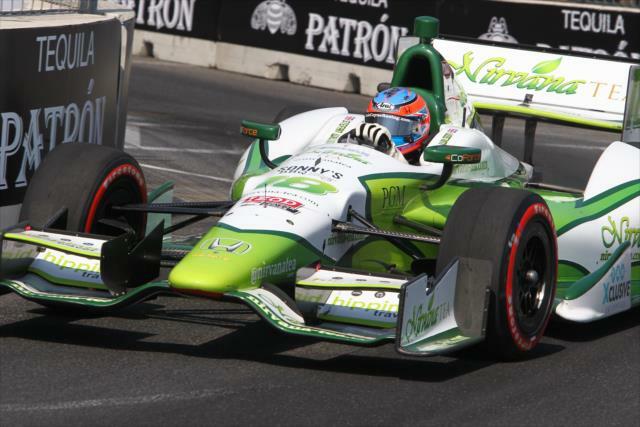 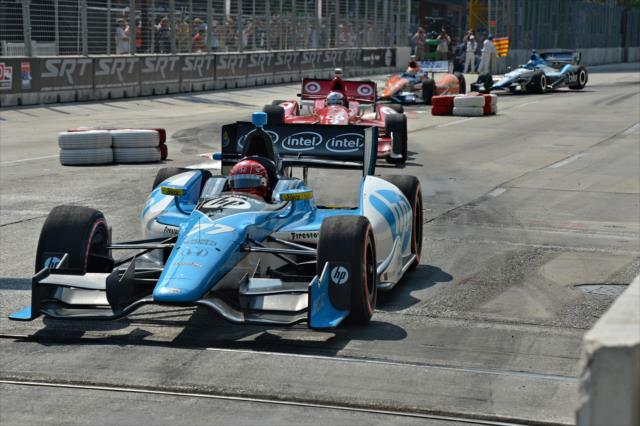 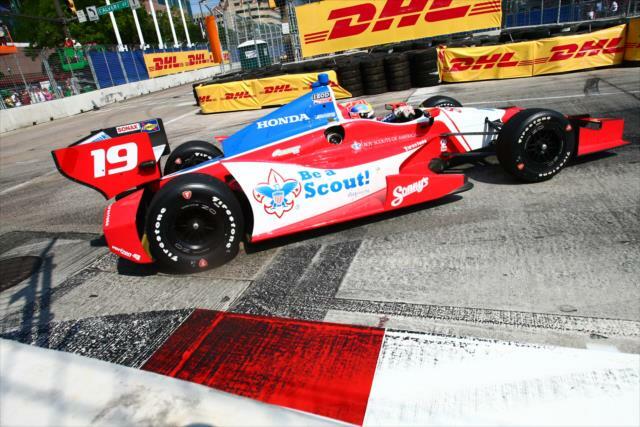 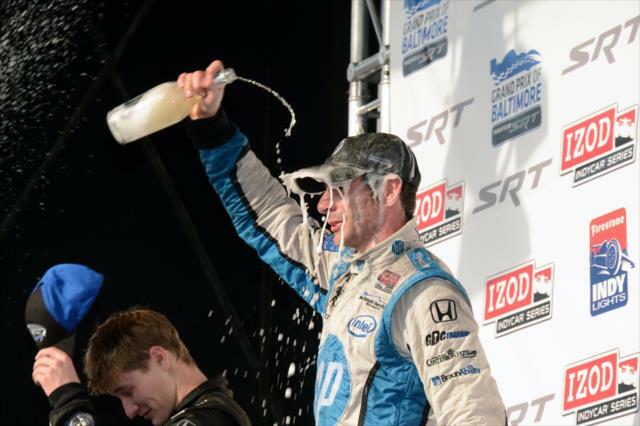 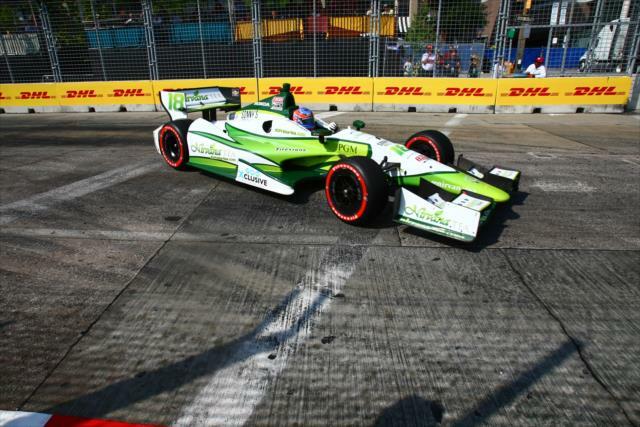 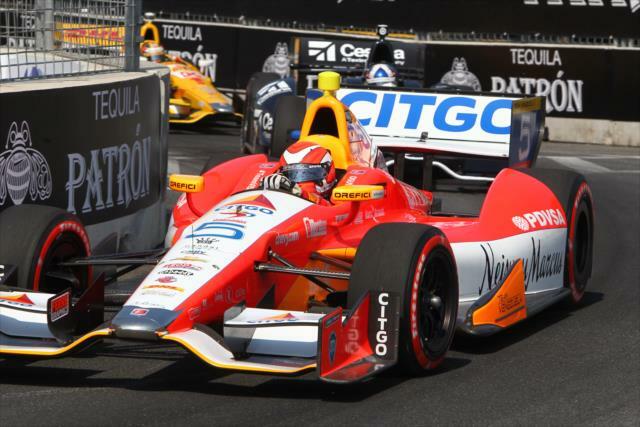 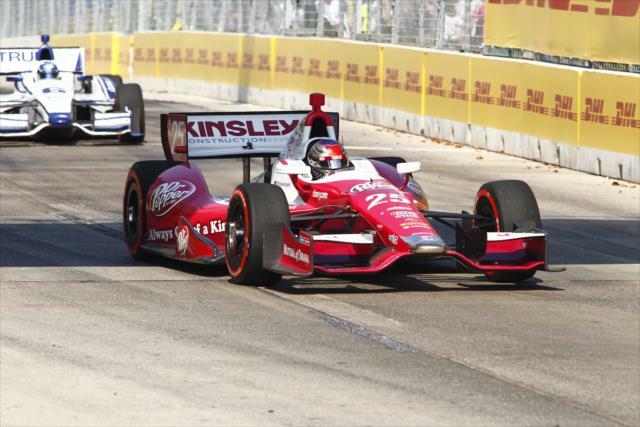 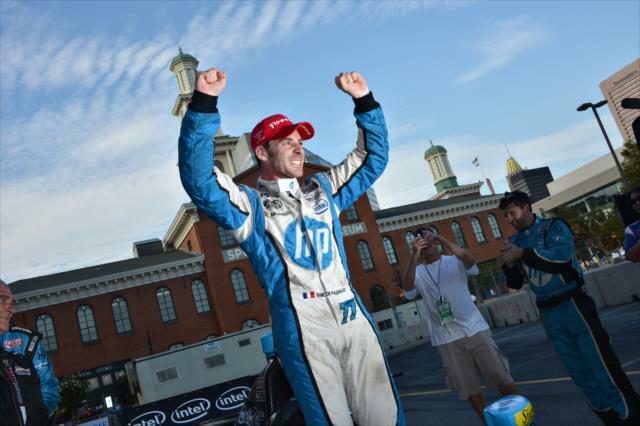 "The car was fantastic," Pagenaud said. 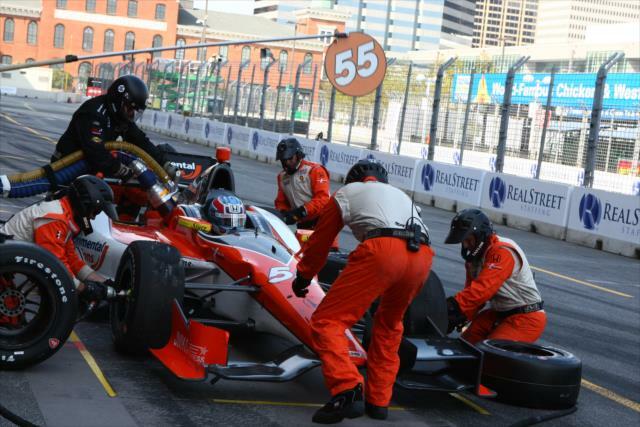 "We got very lucky on the restarts; we didn’t get collected. 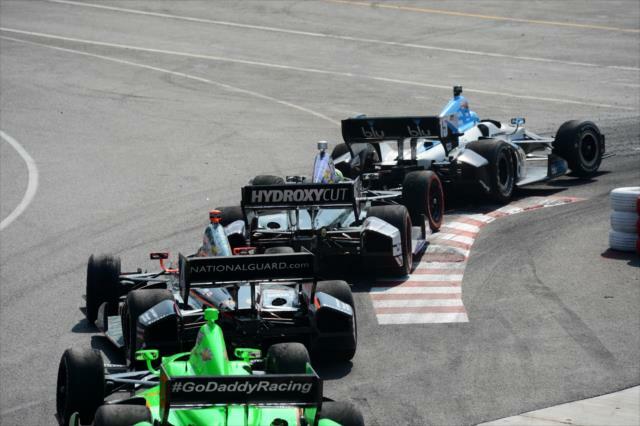 I pushed hard on the last restart against Marco (Andretti) and TK (Tony Kanaan). 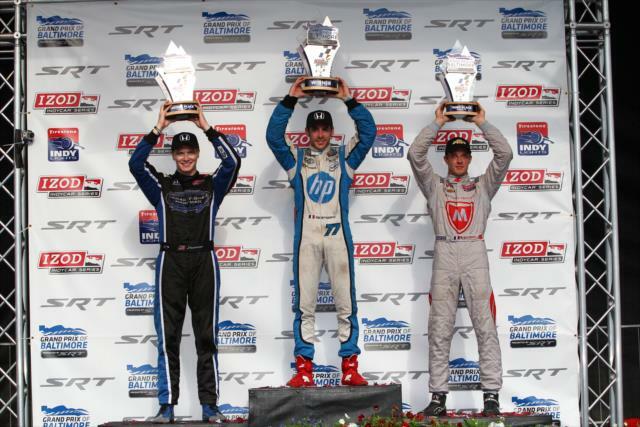 Awesome job for the HP team. 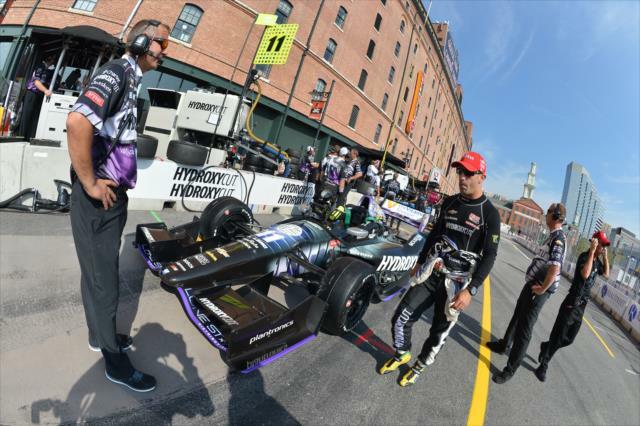 They’ve been awesome this weekend and I guess it’s good for the championship." 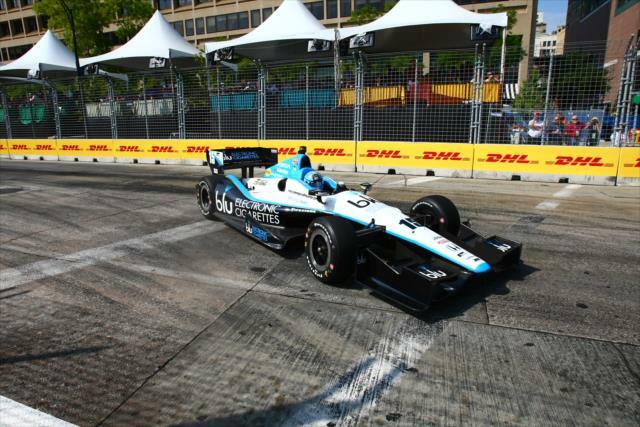 Pagenaud ran relatively clean and was fast around the course after overtaking Andretti in Turn 1 of Lap 69, clearing the driver of the No. 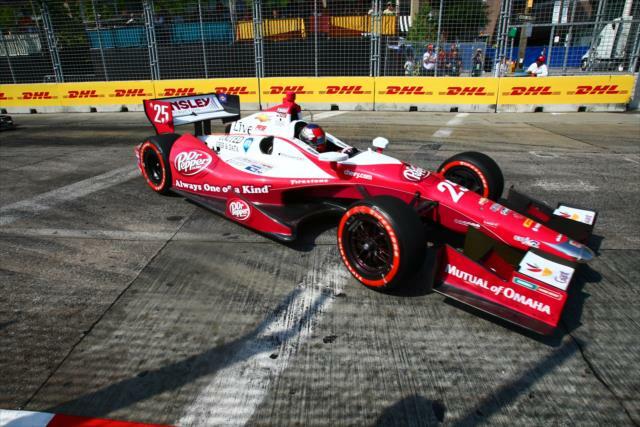 25 Dr Pepper car by 1.9920 seconds at the start/finish line. 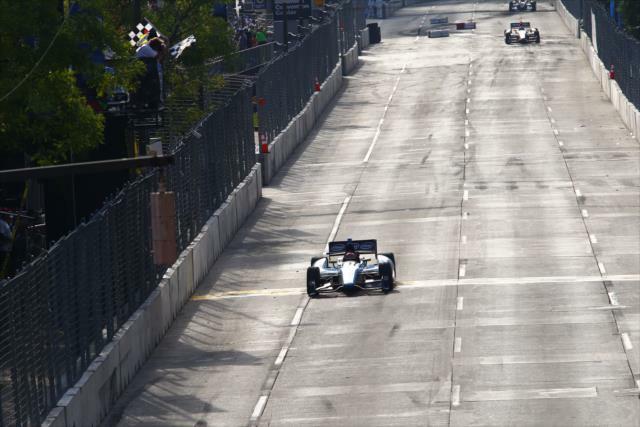 He then led Newgarden, who moved to second on the next lap, to the checkered flag by 4.1 seconds. 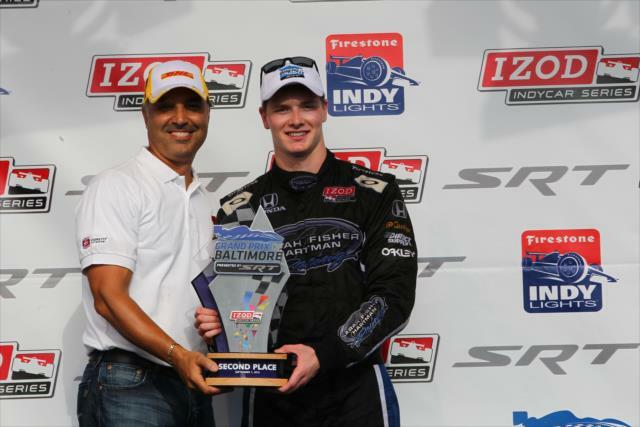 It was the first podium finish for Newgarden, the 2011 Firestone Indy Lights champion. 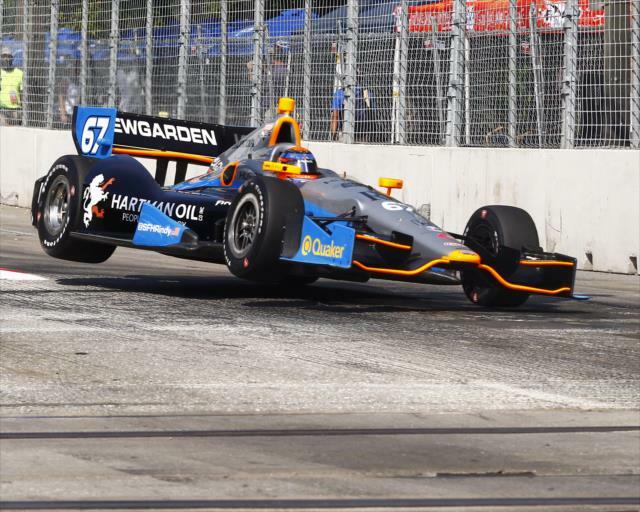 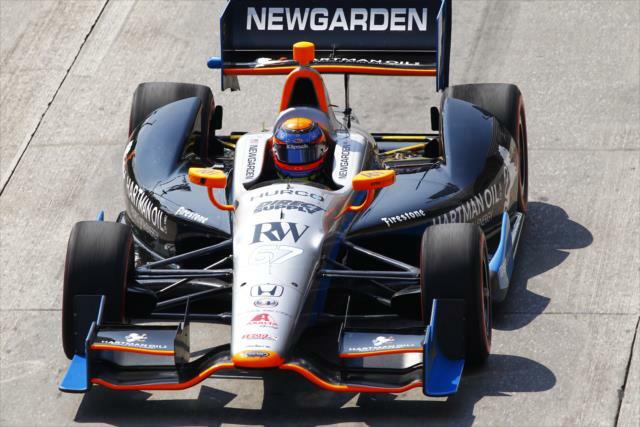 "Thanks to everyone as Sarah Fisher Hartman Racing," said Newgarden, who qualified a season-high fifth. 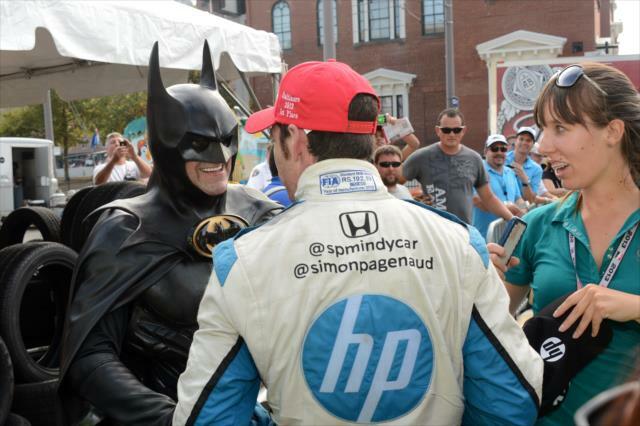 "They give me every opportunity to do this. 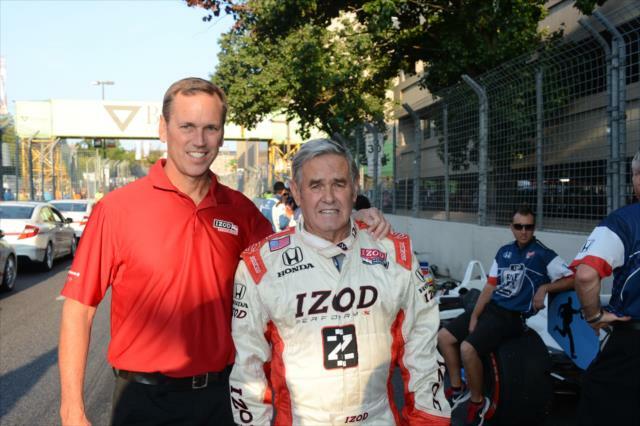 I wouldn’t be an IndyCar driver without them. 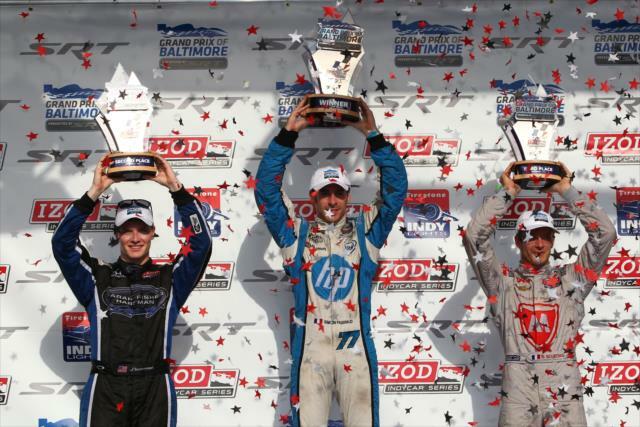 I’m so thankful for all the hard work they put in. 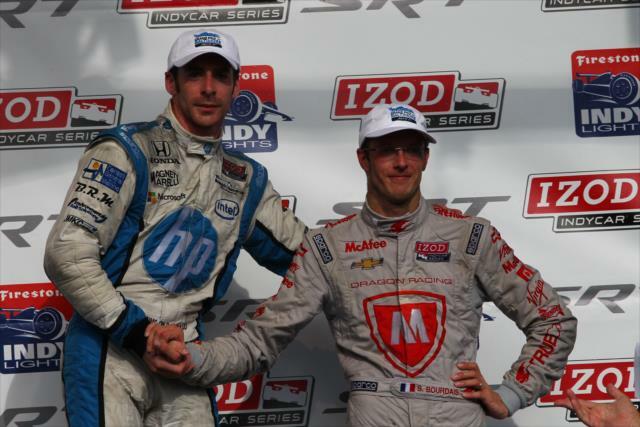 "I really wanted to give Simon a run for his money. 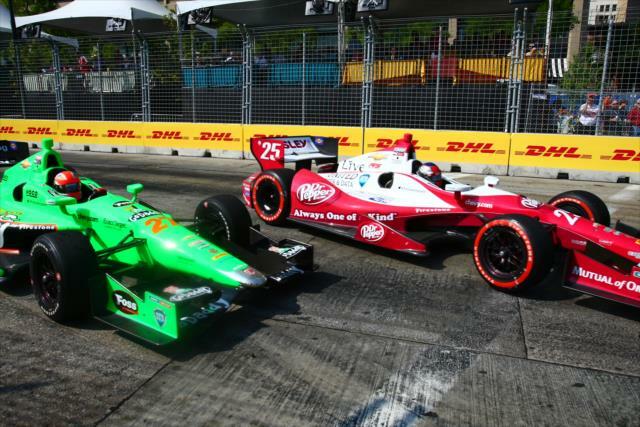 I think we had the pace for him, we just had no brakes left." 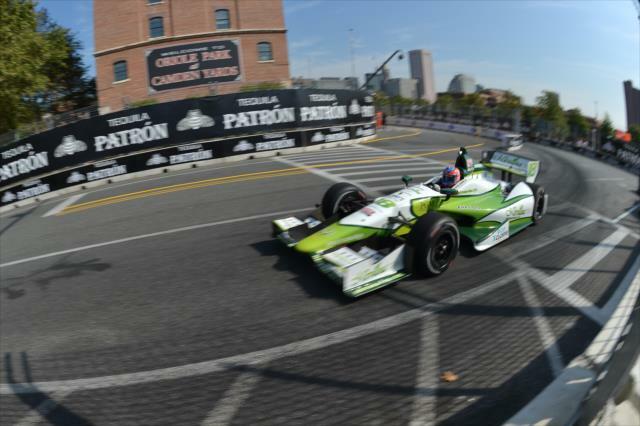 Sebastien Bourdais, who started 22nd in the No. 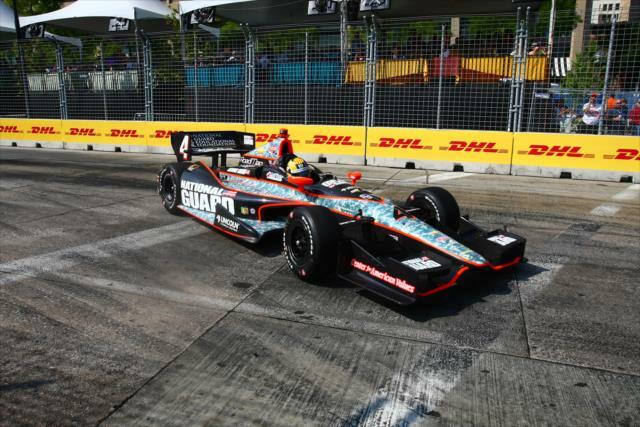 7 Dragon Racing car and led 19 laps, finished third and Justin Wilson overcame all sorts of hardware issues to place fourth for his fourth consecutive top 10. 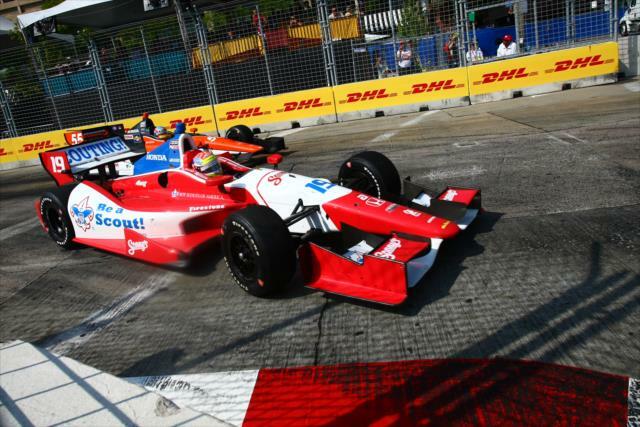 Simona De Silvestro marked her 25th birthday with a season-high fifth-place finish. 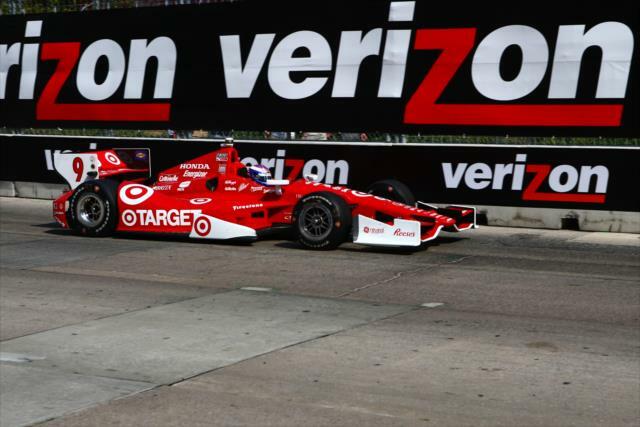 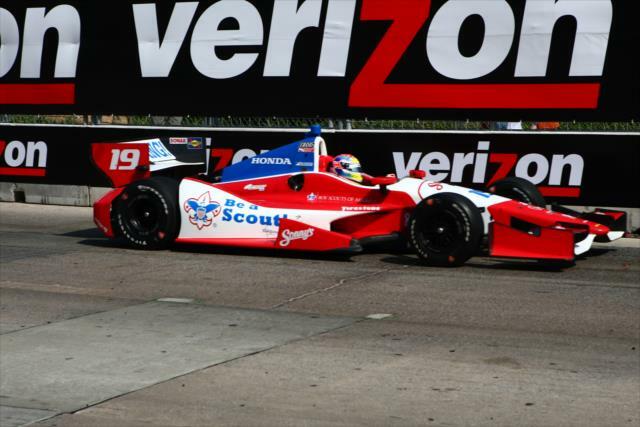 With Verizon P1 Award winner Scott Dixon, who entered the race 39 points behind championship front-runner Helio Castroneves, exiting on Lap 53 because of contact on a restart, Castroneves gained ground in the title chase with a ninth place. 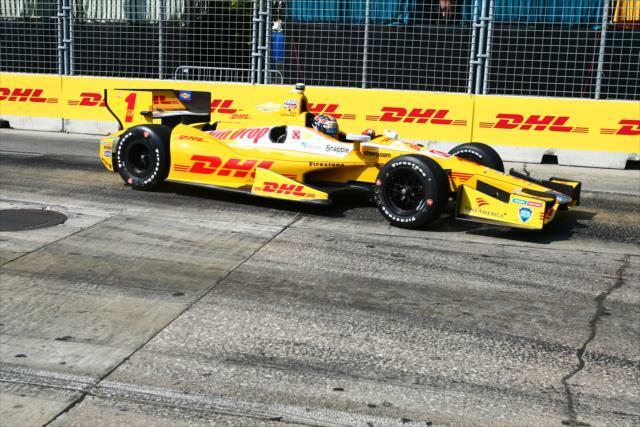 He's 49 points ahead with three races -- including a street course doubleheader at Houston -- remaining. 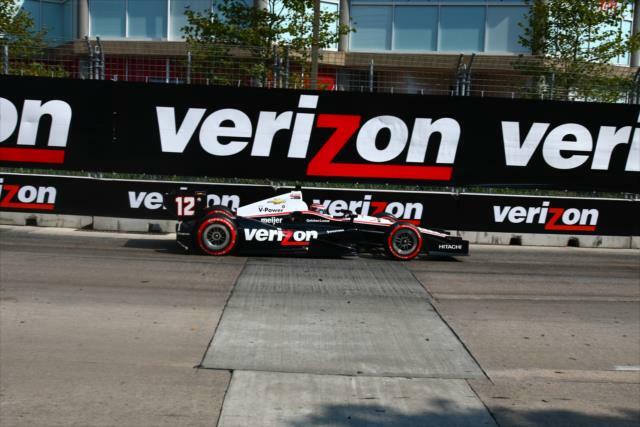 "I'm still dreaming really, really big," said Castroneves, who also had his share of issues including having to serve a drive-through penalty for a pit safety violation when he missed his marks and struck his right-front tire changer (Doug Snyder was not injured)." 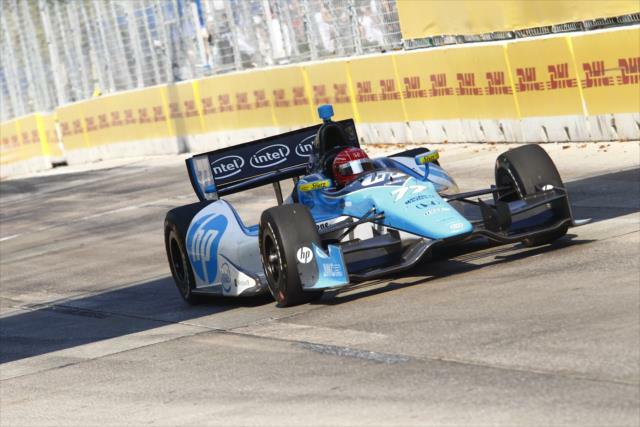 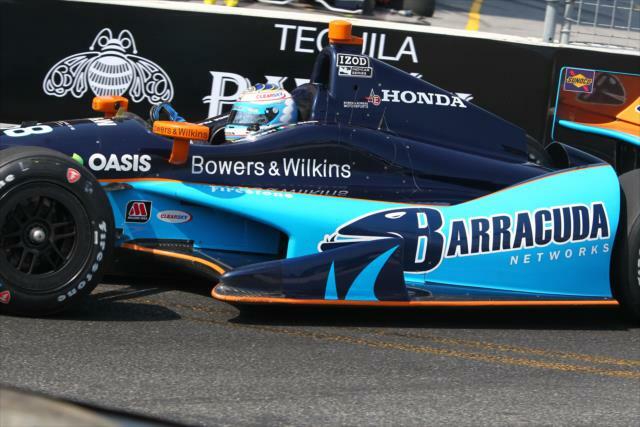 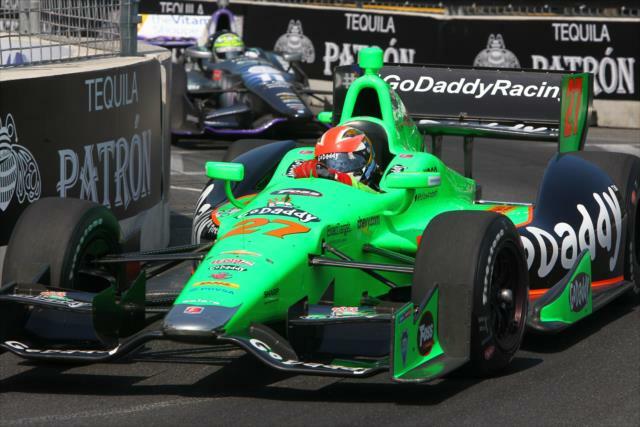 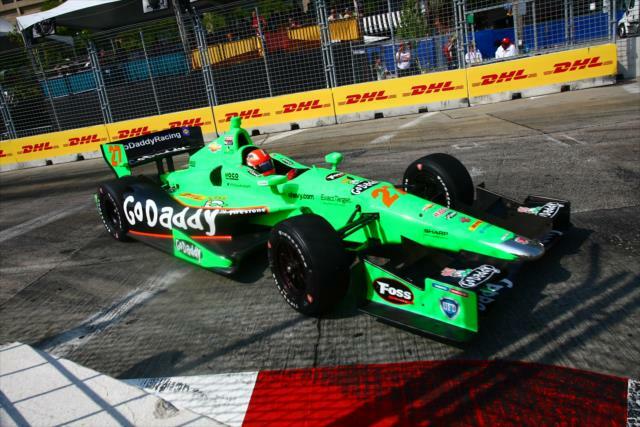 Pagenaud moved into third in the standings (21 points behind Dixon) with 431 points. 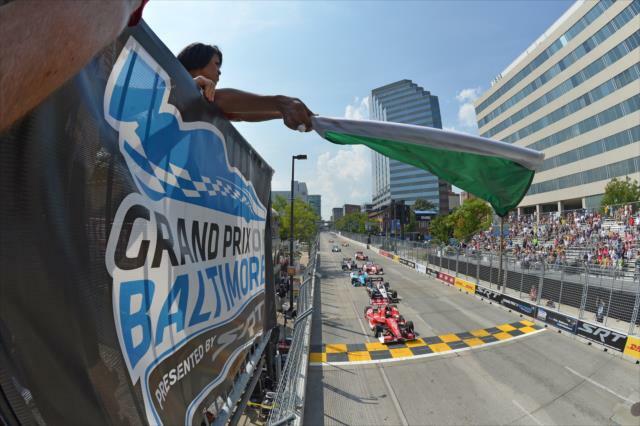 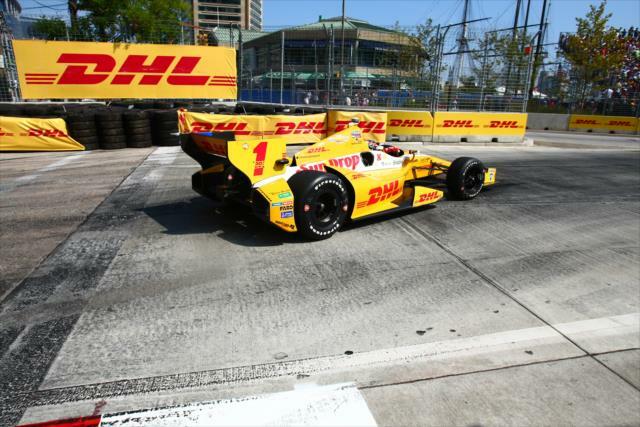 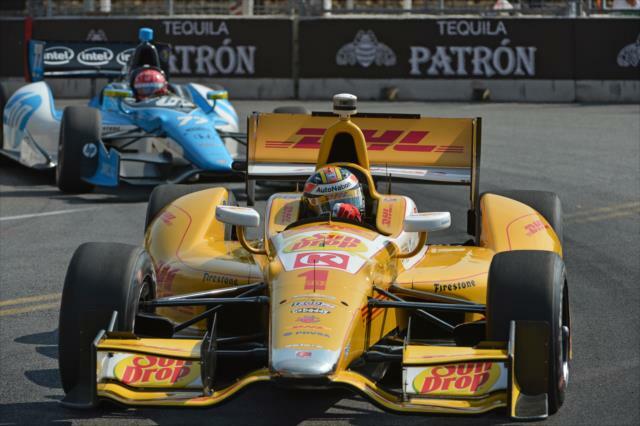 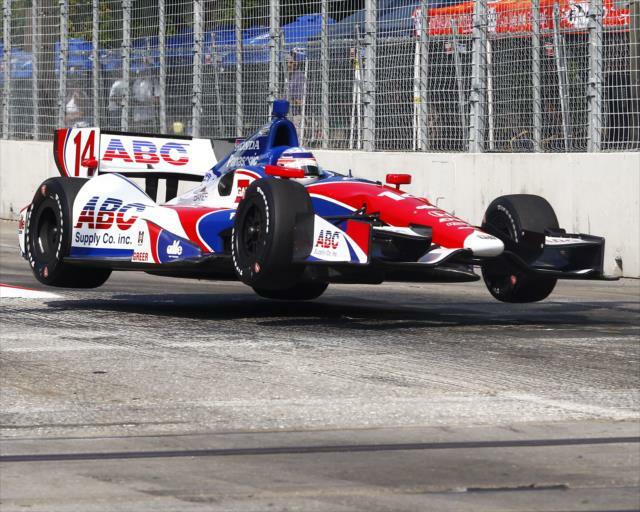 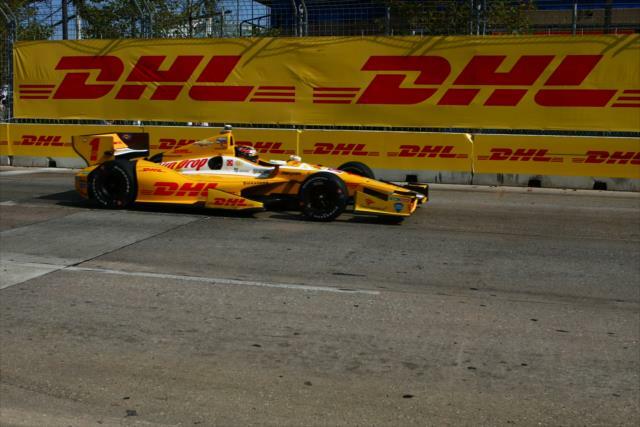 Andretti remained fourth (430) and reigning series champion Ryan Hunter-Reay, whose victory in the penultimate race at Baltimore was a springboard to the title, is fifth (427).